This picture was taken in 1961 in Weston Super Mare, by Railway Modeller photographers. 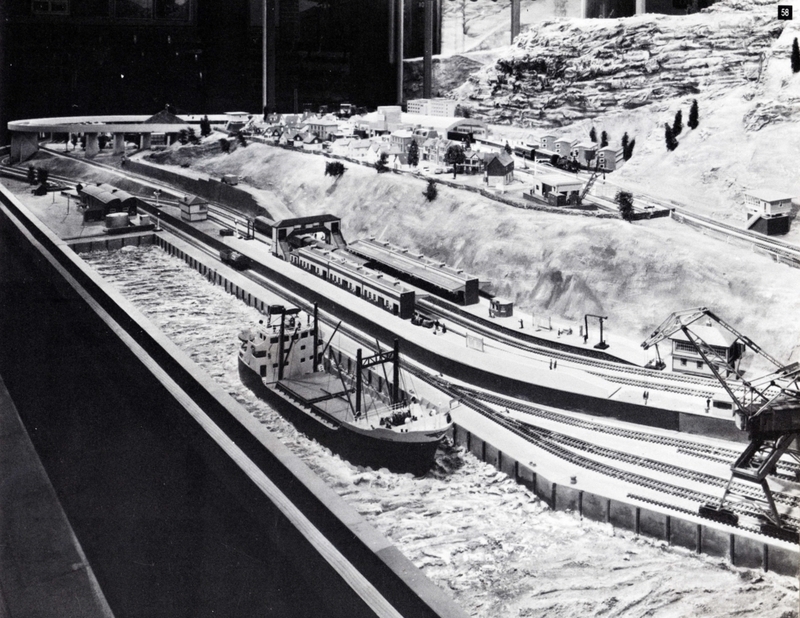 The model railway display shown was built by Bassett-Lowke Ltd. Model Engineers of Northampton, in the UK. 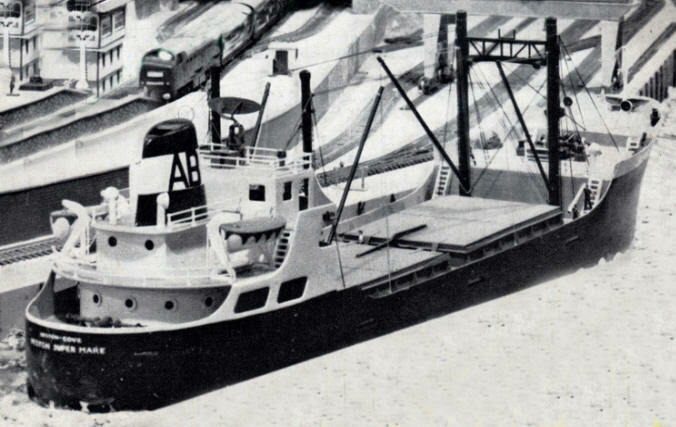 In the foreground is a scale model cargo ship named "Weston Cove", shown just leaving port, with the initials "AB" on the funnel. At that particular time my Father A.W.Brinkworth was still building model railway buildings for Bassett-Lowke in Manchester, under the name "AWB models" and I was working for Bassett-Lowke Ltd. at their London retail store. I also built models in London for Bassett-Lowke, and the "Weston Cove" ship model was one that I built for them, to be displayed as part of their Weston Super Mare railway display. What my Father or I didn't know, was that we were both building models for the same display, at the same time. Dad was building a row of "Miners Cottages" in Manchester, (no picture available yet) when I was building the Weston Cove in London. 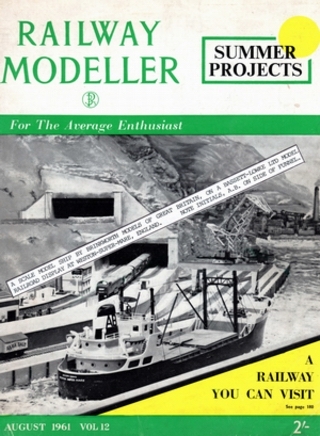 When the August issue of the "Railway Modeller" came out, we were both so excited to tell each other about our models being featured in the magazine (shown below).